Join Mr and Mrs Fox in their luxury Georgian mansion for tea and toast in this fantasy world! Foxes live in mansions, drive flashy cars, enjoy fine food and chase humans around the countryside. This slot also highlights the funniest of British humour and lifestyle. Listen to the birdsong and sounds of the countryside in the background. The graphics and realistic animations have been done with the most advanced technology. 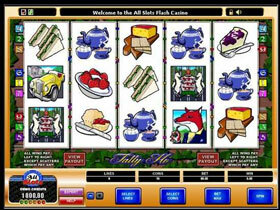 Tally Ho is a 5 Reel, 9 Payline non-progressive Video Slot with Wild and Scatter symbols, Free Spins and a Multiplier. Bets range from 0.1 up to 90 coins per spin. The coin size is between 0.01 and 1.00, the maximum bet is $90. The Horse replaces other symbols besides the Scatter. Any wins from the Wild symbol will be doubled. Instant wins will be awarded when 2 to 5 Scatters appear anywhere on the reels. When 3, 4or 5 Scatters appear anywhere 10 Free Spins will be awarded. The Free Spin feature awards 10 Free Spins and a 4x multiplier for each win. 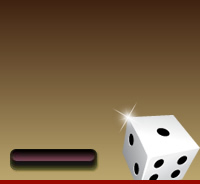 Land a winning combination to get the option of trying out the Gamble feature. Just guess the colour or the suit of the next card to be revealed on the screen and win a x2 and x4 multiplier for the correct guess. "Tally Ho" has been known to be a battle cry called by hunters to get their hounds ready for battle. Perhaps players will also call out when they win! Tally Ho is an amusing and entertaining game with big awards.